Not playing with a full pack of wolves. Highlights this week: Terreria Tactics, Pelted Primacy. Alliteration: it’s so hot right now! Tabletop gaming this week! The first project we look at is Terreria Tactics, a science fiction vs. fantasy skirmish card game. The setting won me over immediately, as it combines the best elements of slinky and visually interesting dragons with vaguely “Aperture Science”-esque robots, but it turns out there’s actually a GAME under the visuals! 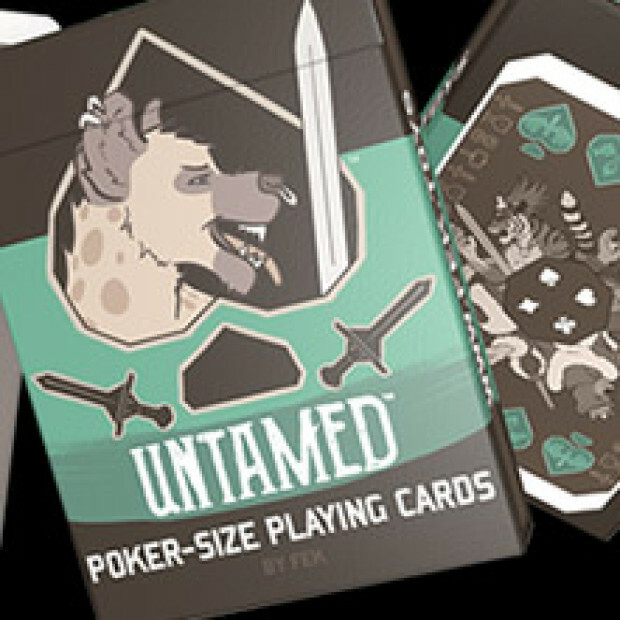 The second, Pelted Primacy, is self-consciously old-school, a handsome furry take on the standard “Bicycle” playing cards, a very attractive deck. 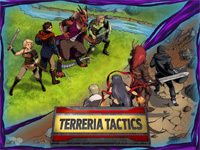 Terreria Tactics is a card-based strategy game designed to represent the small parties and turn-by-turn play of skirmishing RPG video games. Game play is small and focused, for a table of two or four players, with play, I’m guessing, from 1-2 hours. The artwork really stands out. The setting is a medieval fantasy world, with anthropomorphic dragons and eagles, and presumably some other races, but they had me with the dragons. Artist MegillaKitty, who did today’s fantastic illustration in Terreria Tactics style, is the lead artist, lots of sneak previews on her gallery. You can also see some of Arkristokat’s work on DA, another contributing artist. Immediately obvious “pros” to the game–the game designer has seriously done his homework, and the game starts out with strong play examples, with play-through videos on the kickstarter, so novices and outsiders can get a sense of the game. There are tactical elements, resource management, and a bit of the “Magic: The Gathering” element of “troops are the line of defense for the player herself.” Players select a handful of characters, items, actions, and one location card, revealing their cards as they activate them, and characters can gain experience and complexity as the skirmish progresses forward. In many ways the game echoes Magic: The Gathering, but with a tighter focus on a small, finite battle field (and, blessedly, smaller decks). The artwork and look of the product is very professional, and more extensive information is available on the TT Website. Good luck, guys! Well-done writeup and slick-looking product. I’m waiting for my boxed set! Pelted Primacy is a much more traditional product–a deck of playing cards built to the “Bicycle” playing card standard. Much of the deck is reworked in small ways–the paw print pip cards stand out in particular as a cute touch. But the court cards have been reenvisioned as elegant furry nobles, brooding and somber as befits, say, the Queen of Spades–the joker’s always the only one that’s willing to crack a smile! DJKyota, a word–if you swap out the current Jack of Clubs I will be very put out. Just so you know. It’s worth it to watch the video on this one. The funder’s art is genuinely strange and fantastic. In a city wracked in fear, only the rebel Foot clan fights against the evil Zombie Ninja Turtles! Indie art book, web project. Impressive art, incomprehensible pledge levels. Worth a tour of the project though. An ebook coming to print: a German Shepherd cop is called in to investigate a grisly death in a smelting factory. Beautifully illustrated children’s series set in 1830 New England. Adorable. Wojer the badger is not for diabetics. A classic spaghetti western. But with a monkey. A Hellboy, Gorillaz, John Wayne, ACTUAL gorillas mashup. Documentary on Eva Medusa’s transformation and first appearance, reinventing identity through body modification. Tattoo art and implants may not be everybody’s thing, but re-imagining your species and taking risks with identity is close to the heart of furry. Fan film of Marvel’s least-known, most amazing hero: Squirrel Girl. It’s exciting to see someone aim for low budget, and presumably hit it. Small fuzzy samurai and origami. This approaches perfection. An awareness video to fight badger-culling. Also, people dancing in frilly Victorian skirts and badger masks. Three animated shorts: teen angst and adolescent awkwardness from the eyes of sports mascots growin’ up. I wish they had a tiny segment of the fully-realized animation. But there’s an animated husky AND an anthro moose. Crowdfunding the editing and release of extra footage/director’s cuts/additional storylines from last year’s “Bronies” documentary. 2014 Horsing Around Calendar (Ends: 6/16/2013): 12-month calendar featuring Man In Horse Mask. Isn’t this joke kind of 2009? Fake Horse (Ends: 7/13/2013): A post-apocalypse graphic novel of a young man in a horse mask, protecting his herd against the monsters of a dark world. A bit too “one artist’s vision,” but worth the ride. Snoutie and his Friends (Ends: 7/21/2013): Campaign to translate a cartoon-and-clip-art children’s book from Russian into English. Anthro wooly mammoth, very strange. Count the stolen Disney characters, this one takes Fair Use into a dark alley and uses her ferociously. 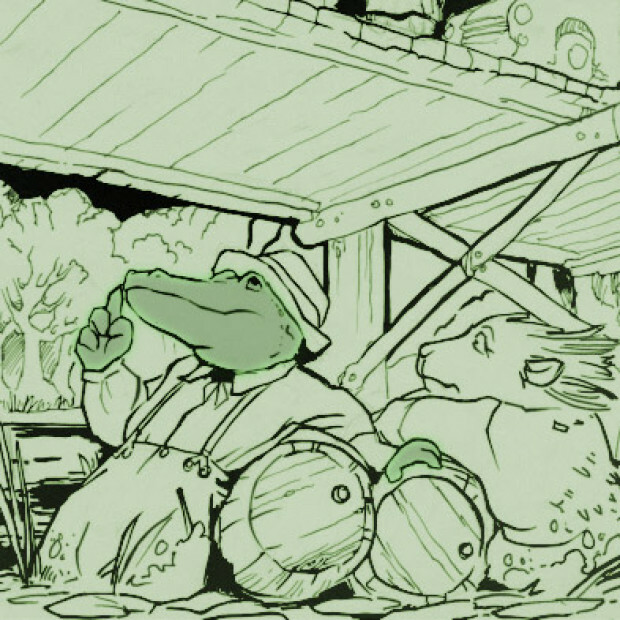 Digger: The Omnibus (Pre-launch): An indie B&W graphic novel–one wombat’s journey through a dark subterannean fantasy world, in which there are also lizards and hyenas. Beautiful work! Come Find Me (Pre-launch): Fox Amoore’s next album, recorded in the “Abbey Road” studio. 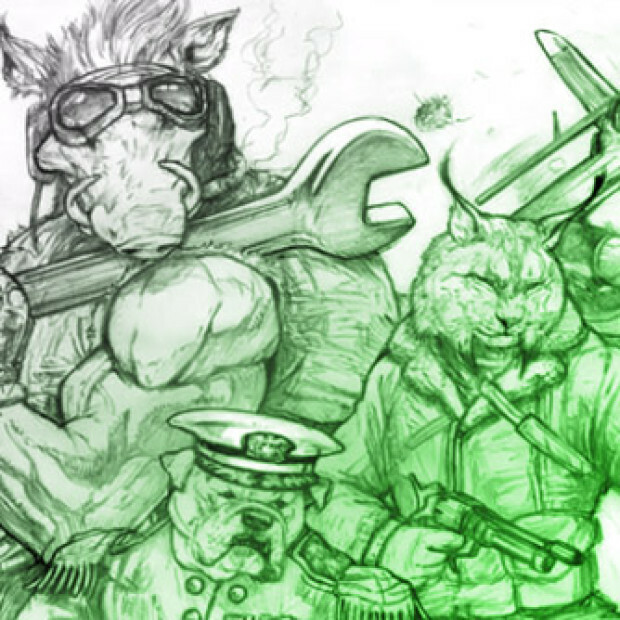 The Incredible Hare (Pre-launch): Writer JoeStrike is getting ready to launch his illustrated novel on Kickstarter. One for the rabbit lovers. 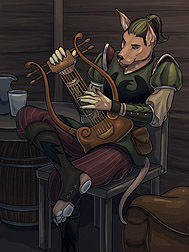 Leptailurus’s Tarot (Pre-launch): Leptailurus is preparing to open a KS for a lucious Furry tarot deck. My credit card is waiting.